Planning to blast this halloween season again. 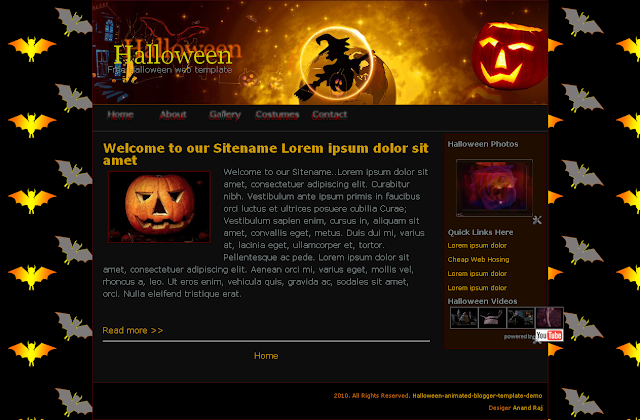 Here's a brand new blogger template for halloween. PS : Any doubts you can ask me here !! No Response to "Animated Halloween Blogger Template"